It’s an open secret that a shaped eyebrow can add to your facial glamour by leaps. Rough and unshaped brows tend to make your face look messy and unruly, which result in a negative impression. Hence, it is therefore needed that you shape your eyebrows in a proper arch to give your look a soft and intense touch. Yea, it’s equally true that you cannot visit beauty parlor every week to get rid of the upcoming extra eyebrow hair. Forget these hassles and opt for easy self help options with tweezers and pluckers that are designed to make the task simple and smooth at its best. Read below to get updated about some of the best eyebrow tweezers and pluckers available in the market to bank on as per convenience, budget and requirement. Perfectly designed for easy plucking purpose, this tweezer comes in some bold and bright colors to add zing to your beauty regime. The tweezer is slanted 25 degree towards the hand for better grip and position, thus making it easier for you to remove hair from the surface. It is also provided with an aligned tip that cuts the hair accurately and firmly, offering you the best brow arch to admire. 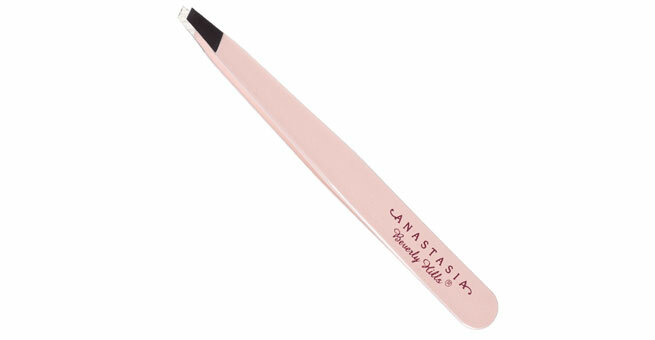 Get professional detailing and arch at home with help of this tweezer from Anastasia Beverly Hills. It has a customized slanted top that easily plucks off extra hair growths in the most tension free ease. To prevent quick growth of hair, this plucker has a sharp end that even tweezes out the tiniest of extra hair growth in an effective manner from the roots. For an expert cleanup of all extra hair growth from your eyebrow, the touch up razor set from Sephora is a delight to try out. Extremely delicate and made of stainless steel, this razor set cleans all unwanted hair in accurate precision. Not only for eyebrow, this tool can be used for lip and bikini line cleanup also. However, be careful when using this touch up razor as it is sharp; keep out of children’s reach. 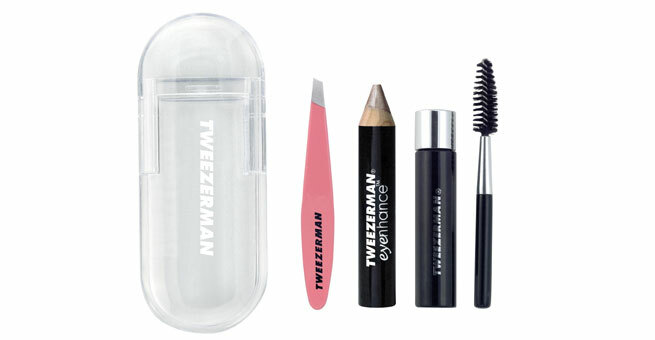 Here’s a complete set of tweezers and pluckers from the brand Tweezerman that is your ultimate need to keep the eyebrow shapely and beautiful. This kit comprise of a tweezer, clear gel, mini eye enhancer pencil, brow shaper and more. Get all unwanted hair removed from the roots with help of the tweezer for a flawless finish. The clear gel formula not only highlights the brow but also blends a shimmering effect to it. Finally the brow shaper cleans the area in a healthy and flake free manner, thus making your eyebrows appear balanced and appropriate. 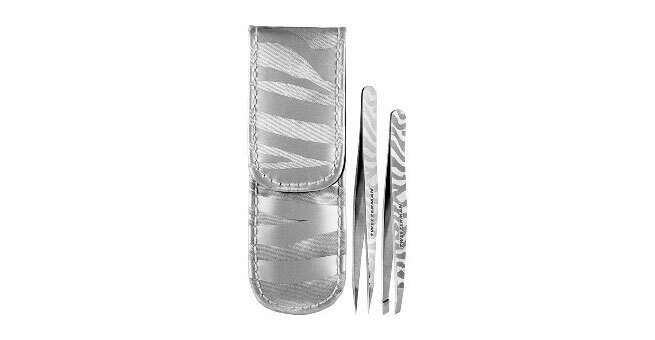 Layered with a wild print, this set of tweezers promise to offer you with professional eyebrow cleanup experience. Durable and made of stainless steel, the tool has a strong grip for easy control and comfort. The tip of this plucker has an etched pattern that makes pulling out hair more tension free and smooth. 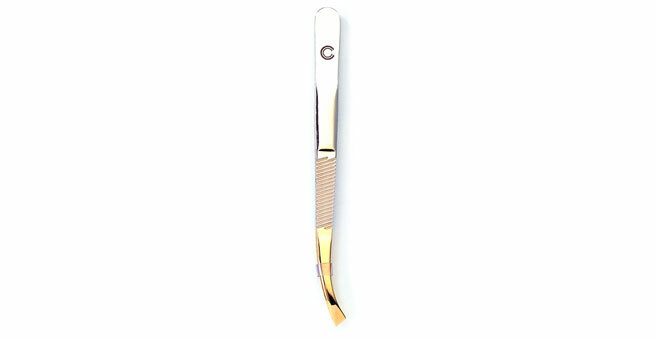 Done with a gold finish, slant tip for strong grip and precise angle to help removal of tiniest hair from the eyebrow, this tweezer from Basic care is 8.5cm long. Handy to use, you can even carry it in your purse for a quick need. Get that perfect brow every time with help of Vega Tweezer that has an additional rubber grip for extra support and non slip. This stainless steel plucker pulls out all unwanted eyebrow hair without any fear of slipping of hand.